Today has been a bad day for music-related fires. 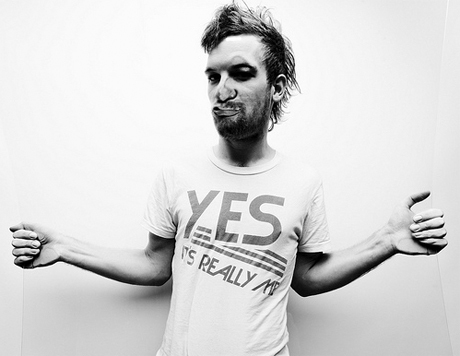 First, there was Neil Young's memorabilia-destroying warehouse fire, and now dubstep dude Rusko has had a blaze of his own. After recently completing a North American tour for his excellent debut full-length, O.M.G., Rusko's car exploded and his California home caught fire on Monday (November 8). As Perez Hilton reports [via The Daily Swarm], Rusko's car caught fire in his driveway and spread to the house. An hour later, a massive amount of damage was suffered by the vehicle and domicile, including his home studio, which was reportedly destroyed. Rusko tweeted a picture of some firemen in his driveway, writing, "My house!!! Not a joke. Thank god I grabbed my hard-drives." Later he added, "We're all safe, thank the lord." Though it hasn't been verified by Rusko, Perez did suggest that the musician lost his demos for Britney Spears's new album in the fire.